Well, I had planned a different post for today, but this is what I found when I opened my closet door this morning. Sometimes things don’t always go as planned do they? The bar broke in my closet last night. 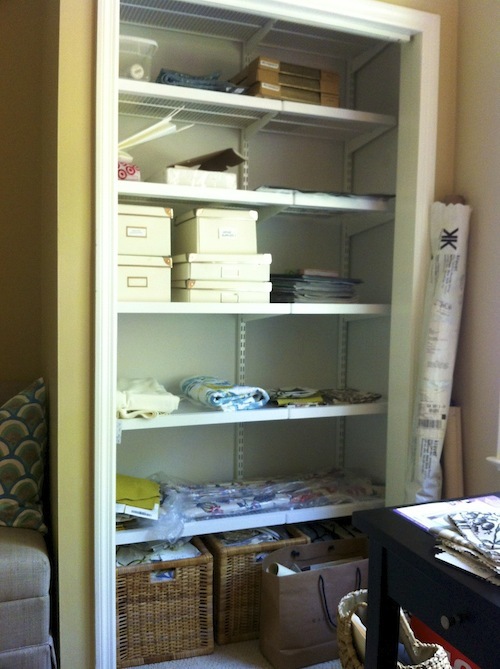 I had other projects planned for my weekend, but now it looks like I’ll be redoing my closet. After giving it some thought, I decided that this is a great opportunity to give my closet a much needed update. I’ve always wanted an inspiring space, but I’ve never taken the time to do it. Who wouldn’t want a closet like this? Unfortunately, I don’t have this much space to play with, but here are a few closets that I love. This is definitely one of my favorites. I think I’ll add a pretty light fixture. We should all have a little glamour in our closets. I love the closet “island”. These cabinets are very similar to the ones I have in my closet. I like the added texture of the bench and the baskets. Love the mirrored doors and the shelving. Why don’t my folded things look this neat when I’m done. I think I need a folding lesson. 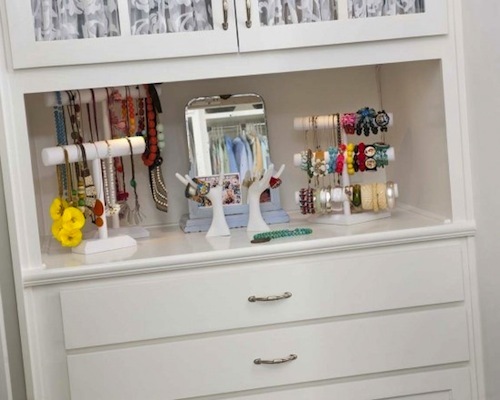 …jewelry, scarf and bag storage. I love these two simple solutions. 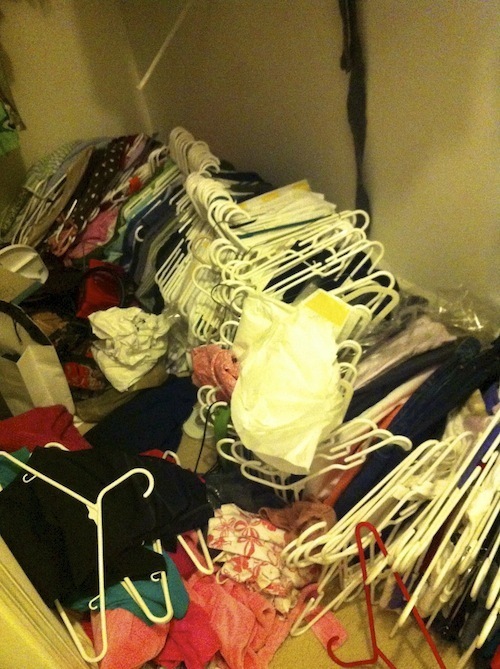 Do you have a pretty closet? 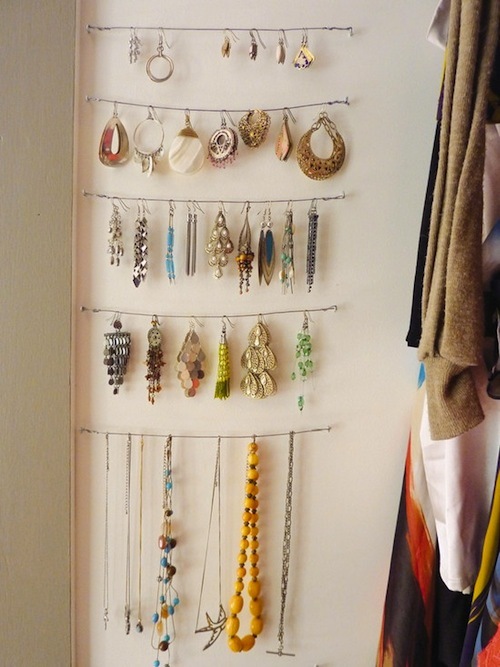 What are your best tips for displaying and storing your accessories and clothing? Send me your pics and I’ll do a follow up post with all of your helpful hints. 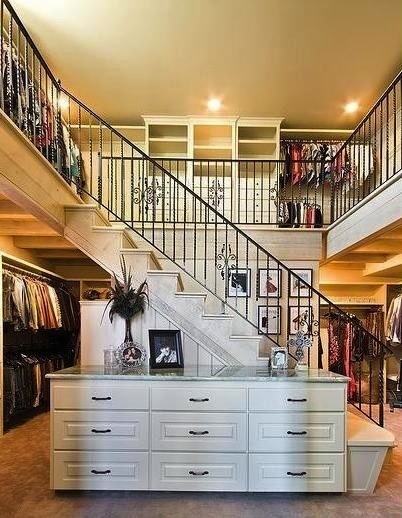 If you’d like to see a few more of my favorite closets, head over to my Pinterest page.